Click For More Info 1996 - 2005 ASTRO ALL V6 4.3 ALL ALL ALL OE recommended replacement part. OE-specified Oil included. Click For More Info 2002 - 2005 AVALANCHE 1500 ALL ALL ALL ALL ALL ALL DENSO is the OE supplier for this vehicle; OE-specified Oil included. Click For More Info 2006 - 2006 AVALANCHE 1500 ALL V8 5.3 ALL ALL ALL DENSO is the OE supplier for this vehicle; OE-specified Oil included. Click For More Info 2003 - 2006 AVALANCHE 2500 ALL V8 8.1 ALL ALL ALL DENSO is the OE supplier for this vehicle; OE-specified Oil included. Click For More Info 1989 - 1989 BERETTA ALL L4 2.0 ALL ALL ALL OE recommended replacement part. Click For More Info 1989 - 1989 BERETTA ALL V6 2.8 ALL ALL ALL OE recommended replacement part. Click For More Info 1990 - 1990 BERETTA ALL L4 2.2 ALL ALL ALL OE recommended replacement part. Click For More Info 1990 - 1990 BERETTA BASE V6 3.1 ALL ALL ALL OE recommended replacement part. Click For More Info 1990 - 1990 BERETTA GT V6 3.1 ALL ALL ALL OE recommended replacement part. Click For More Info 1990 - 1990 BERETTA INDIANAPOLIS 500 PACE CAR V6 3.1 ALL ALL ALL OE recommended replacement part. Click For More Info 1991 - 1991 BERETTA ALL V6 3.1 ALL ALL ALL OE recommended replacement part. Click For More Info 1994 - 1994 BERETTA ALL L4 2.2 ALL ALL ALL OE recommended replacement part. Click For More Info 1994 - 1994 BERETTA ALL L4 2.3 ALL ALL ALL OE recommended replacement part. Click For More Info 1994 - 1996 BERETTA ALL V6 3.1 ALL ALL ALL OE recommended replacement part. Click For More Info 1995 - 1996 BERETTA BASE L4 2.2 ALL ALL ALL OE recommended replacement part. Click For More Info 1996 - 1998 BLAZER ALL V6 4.3 ALL ALL ALL OE recommended replacement part. OE-specified Oil included. Click For More Info 1999 - 1999 BLAZER BASE V6 4.3 ALL ALL ALL OE recommended replacement part. OE-specified Oil included. Click For More Info 1999 - 2001 BLAZER LS V6 4.3 ALL ALL ALL OE recommended replacement part. OE-specified Oil included. Click For More Info 1999 - 2001 BLAZER LT V6 4.3 ALL ALL ALL OE recommended replacement part. OE-specified Oil included. Click For More Info 1999 - 2001 BLAZER TRAILBLAZER V6 4.3 ALL ALL ALL OE recommended replacement part. OE-specified Oil included. Click For More Info 2001 - 2001 BLAZER XTREME V6 4.3 ALL ALL ALL OE recommended replacement part. OE-specified Oil included. Click For More Info 2002 - 2005 BLAZER ALL V6 4.3 ALL ALL ALL OE recommended replacement part. OE-specified Oil included. Click For More Info 1996 - 1998 C1500 ALL V8 6.5 ALL ALL ALL OE recommended replacement part. OE-specified Oil included. Click For More Info 1993 - 1995 CAMARO ALL V6 3.4 ALL ALL ALL OE recommended replacement part. Click For More Info 1995 - 1997 CAMARO ALL V8 5.7 ALL ALL ALL OE recommended replacement part. Click For More Info 1995 - 2001 CAMARO BASE V6 3.8 ALL ALL ALL OE recommended replacement part. OE-specified Oil included. Click For More Info 1996 - 1997 CAMARO RS V6 3.8 ALL ALL ALL OE recommended replacement part. OE-specified Oil included. Click For More Info 1998 - 2001 CAMARO Z28 V8 5.7 ALL ALL ALL OE recommended replacement part. Click For More Info 1998 - 2001 CAMARO Z28 SS V8 5.7 ALL ALL ALL OE recommended replacement part. Click For More Info 2002 - 2002 CAMARO ALL V8 5.7 ALL ALL ALL OE recommended replacement part. Click For More Info 2002 - 2002 CAMARO ALL V6 3.8 ALL ALL ALL OE recommended replacement part. Click For More Info 1995 - 2001 CAVALIER ALL L4 2.2 ALL ALL ALL OE recommended replacement part. Click For More Info 1996 - 1998 CAVALIER BASE L4 2.2 ALL ALL ALL OE recommended replacement part. Click For More Info 1996 - 1998 CAVALIER LS L4 2.2 ALL ALL ALL OE recommended replacement part. Click For More Info 1997 - 1998 CAVALIER RS L4 2.2 ALL ALL ALL OE recommended replacement part. Click For More Info 2003 - 2004 CAVALIER ALL L4 2.2 ALL ALL BI-FUEL OE recommended replacement part. Click For More Info 2005 - 2005 CAVALIER ALL L4 2.2 ALL ALL ALL OE recommended replacement part. Click For More Info 1989 - 1989 CELEBRITY ALL V6 2.8 ALL ALL ALL OE recommended replacement part. Click For More Info 2005 - 2006 COBALT ALL L4 2.2 ALL ALL ALL OE recommended replacement part. OE-specified Oil included. Click For More Info 2005 - 2010 COBALT ALL L4 2.0 ALL ALL ALL OE recommended replacement part. OE-specified Oil included. Click For More Info 2006 - 2006 COBALT ALL L4 2.4 ALL ALL ALL OE recommended replacement part. OE-specified Oil included. Click For More Info 2004 - 2006 COLORADO ALL L4 2.8 ALL ALL ALL DENSO is the OE supplier for this vehicle; OE-specified Oil included. Click For More Info 2004 - 2006 COLORADO ALL L5 3.5 ALL ALL ALL DENSO is the OE supplier for this vehicle; OE-specified Oil included. Click For More Info 2007 - 2012 COLORADO ALL L4 2.9 ALL ALL ALL DENSO is the OE supplier for this vehicle; OE-specified Oil included. Click For More Info 2007 - 2012 COLORADO ALL L5 3.7 ALL ALL ALL DENSO is the OE supplier for this vehicle; OE-specified Oil included. Click For More Info 1989 - 1989 CORSICA ALL L4 2.0 ALL ALL ALL OE recommended replacement part. Click For More Info 1989 - 1989 CORSICA ALL V6 2.8 ALL ALL ALL OE recommended replacement part. Click For More Info 1990 - 1991 CORSICA ALL V6 3.1 ALL ALL ALL OE recommended replacement part. Click For More Info 1994 - 1996 CORSICA ALL L4 2.2 ALL ALL ALL OE recommended replacement part. Click For More Info 1994 - 1996 CORSICA ALL V6 3.1 ALL ALL ALL OE recommended replacement part. Click For More Info 1997 - 2004 CORVETTE ALL V8 5.7 ALL ALL ALL OE recommended replacement part. Click For More Info 2005 - 2007 CORVETTE ALL V8 6.0 ALL ALL ALL OE recommended replacement part. OE-specified Oil included. Click For More Info 2008 - 2008 CORVETTE ALL V8 6.2 ALL ALL ALL OE recommended replacement part. OE-specified Oil included. Click For More Info 2009 - 2013 CORVETTE BASE V8 6.2 ALL ALL ALL OE recommended replacement part. OE-specified Oil included. Click For More Info 2010 - 2013 CORVETTE GRAND SPORT V8 6.2 ALL ALL ALL OE recommended replacement part. OE-specified Oil included. Click For More Info 1996 - 2002 EXPRESS 1500 ALL V6 4.3 ALL ALL ALL OE recommended replacement part. OE-specified Oil included. Click For More Info 1996 - 2002 EXPRESS 1500 ALL V8 5.0 ALL ALL ALL OE recommended replacement part. OE-specified Oil included. Click For More Info 1996 - 2002 EXPRESS 1500 ALL V8 5.7 ALL ALL ALL OE recommended replacement part. OE-specified Oil included. Click For More Info 2003 - 2006 EXPRESS 1500 ALL V8 5.3 ALL ALL ALL DENSO is the OE supplier for this vehicle; OE-specified Oil included. Click For More Info 2003 - 2007 EXPRESS 1500 ALL V6 4.3 ALL ALL ALL DENSO is the OE supplier for this vehicle; OE-specified Oil included. Click For More Info 1996 - 2002 EXPRESS 2500 ALL V6 4.3 ALL ALL ALL OE recommended replacement part. OE-specified Oil included. Click For More Info 1996 - 2002 EXPRESS 2500 ALL V8 5.0 ALL ALL ALL OE recommended replacement part. OE-specified Oil included. Click For More Info 1996 - 2002 EXPRESS 2500 ALL V8 5.7 ALL ALL ALL OE recommended replacement part. OE-specified Oil included. Click For More Info 1996 - 2002 EXPRESS 2500 ALL V8 6.5 ALL ALL ALL OE recommended replacement part. OE-specified Oil included. Click For More Info 2003 - 2005 EXPRESS 2500 ALL V6 4.3 ALL ALL ALL DENSO is the OE supplier for this vehicle; OE-specified Oil included. Click For More Info 2003 - 2005 EXPRESS 2500 ALL V8 5.3 ALL ALL ALL DENSO is the OE supplier for this vehicle; OE-specified Oil included. Click For More Info 2003 - 2006 EXPRESS 2500 ALL V8 4.8 ALL ALL ALL DENSO is the OE supplier for this vehicle; OE-specified Oil included. Click For More Info 2003 - 2006 EXPRESS 2500 ALL V8 6.0 ALL ALL ALL DENSO is the OE supplier for this vehicle; OE-specified Oil included. Click For More Info 2006 - 2007 EXPRESS 2500 ALL V8 6.6 ALL ALL ALL DENSO is the OE supplier for this vehicle; OE-specified Oil included. Click For More Info 1996 - 2000 EXPRESS 3500 ALL V8 7.4 ALL ALL ALL OE recommended replacement part. OE-specified Oil included. Click For More Info 1996 - 2002 EXPRESS 3500 ALL V8 5.7 ALL ALL ALL OE recommended replacement part. OE-specified Oil included. Click For More Info 1996 - 2002 EXPRESS 3500 ALL V8 6.5 ALL ALL ALL OE recommended replacement part. OE-specified Oil included. Click For More Info 2001 - 2002 EXPRESS 3500 ALL V8 8.1 ALL ALL ALL OE recommended replacement part. OE-specified Oil included. Click For More Info 2003 - 2006 EXPRESS 3500 ALL V8 6.0 ALL ALL ALL DENSO is the OE supplier for this vehicle; OE-specified Oil included. Click For More Info 2005 - 2006 EXPRESS 3500 ALL V8 4.8 ALL ALL ALL DENSO is the OE supplier for this vehicle; OE-specified Oil included. Click For More Info 2006 - 2007 EXPRESS 3500 ALL V8 6.6 ALL ALL ALL DENSO is the OE supplier for this vehicle; OE-specified Oil included. Click For More Info 2006 - 2006 HHR ALL L4 2.2 ALL ALL ALL OE recommended replacement part. Click For More Info 2006 - 2006 HHR ALL L4 2.4 ALL ALL ALL OE recommended replacement part. Click For More Info 2008 - 2010 HHR ALL L4 2.0 ALL ALL ALL OE recommended replacement part. OE-specified Oil included. Click For More Info 2000 - 2003 IMPALA ALL V6 3.8 ALL ALL ALL OE recommended replacement part. OE-specified Oil included. Click For More Info 2000 - 2003 IMPALA BASE V6 3.4 ALL ALL ALL OE recommended replacement part. OE-specified Oil included. Click For More Info 2001 - 2001 IMPALA LS V6 3.8 ALL ALL ALL OE recommended replacement part. OE-specified Oil included. Click For More Info 2004 - 2005 IMPALA ALL V6 3.4 ALL ALL ALL OE recommended replacement part. OE-specified Oil included. Click For More Info 2004 - 2005 IMPALA ALL V6 3.8 ALL ALL ALL OE recommended replacement part. OE-specified Oil included. Click For More Info 2006 - 2011 IMPALA ALL V6 3.5 ALL ALL ALL OE recommended replacement part. OE-specified Oil included. Click For More Info 2006 - 2011 IMPALA ALL V6 3.9 ALL ALL ALL OE recommended replacement part. OE-specified Oil included. Click For More Info 1990 - 1993 LUMINA ALL V6 3.1 ALL ALL ALL OE recommended replacement part. Click For More Info 1991 - 1993 LUMINA ALL V6 3.4 ALL ALL ALL OE recommended replacement part. Click For More Info 1996 - 2001 LUMINA ALL V6 3.1 ALL ALL ALL OE recommended replacement part. OE-specified Oil included. Click For More Info 1998 - 1998 LUMINA LTZ V6 3.8 ALL ALL ALL OE recommended replacement part. OE-specified Oil included. Click For More Info 1999 - 1999 LUMINA ALL V6 3.8 ALL ALL ALL OE recommended replacement part. OE-specified Oil included. Click For More Info 1994 - 1995 LUMINA APV ALL V6 3.1 ALL ALL ALL OE recommended replacement part. Click For More Info 1999 - 2003 MALIBU ALL V6 3.1 ALL ALL ALL OE recommended replacement part. OE-specified Oil included. Click For More Info 2004 - 2006 MALIBU ALL L4 2.2 ALL ALL ALL OE recommended replacement part. OE-specified Oil included. Click For More Info 2004 - 2006 MALIBU ALL V6 3.5 ALL ALL ALL OE recommended replacement part. OE-specified Oil included. Click For More Info 2006 - 2006 MALIBU ALL V6 3.9 ALL ALL ALL OE recommended replacement part. OE-specified Oil included. Click For More Info 2007 - 2007 MALIBU ALL V6 3.9 ALL ALL ALL OE recommended replacement part. OE-specified Oil included. Click For More Info 2007 - 2010 MALIBU ALL V6 3.5 ALL ALL ALL OE recommended replacement part. OE-specified Oil included. Click For More Info 2008 - 2008 MALIBU ALL L4 2.2 ALL ALL ALL OE recommended replacement part. OE-specified Oil included. Click For More Info 2008 - 2012 MALIBU ALL L4 2.4 ALL ALL ALL OE recommended replacement part. OE-specified Oil included. Click For More Info 1995 - 1995 MONTE CARLO ALL V6 3.1 ALL ALL ALL OE recommended replacement part. Click For More Info 1996 - 1999 MONTE CARLO LS V6 3.1 ALL ALL ALL OE recommended replacement part. OE-specified Oil included. Click For More Info 1998 - 1998 MONTE CARLO Z34 V6 3.8 ALL ALL ALL OE recommended replacement part. OE-specified Oil included. Click For More Info 1999 - 1999 MONTE CARLO ALL V6 3.8 ALL ALL ALL OE recommended replacement part. OE-specified Oil included. Click For More Info 2000 - 2003 MONTE CARLO LS V6 3.4 ALL ALL ALL OE recommended replacement part. OE-specified Oil included. Click For More Info 2000 - 2003 MONTE CARLO SS V6 3.8 ALL ALL ALL OE recommended replacement part. OE-specified Oil included. Click For More Info 2002 - 2002 MONTE CARLO SS 35TH ANNIVERSARY EDITION V6 3.8 ALL ALL ALL OE recommended replacement part. OE-specified Oil included. Click For More Info 2002 - 2002 MONTE CARLO SS DALE EARNHARDT SIGNATURE EDITION V6 3.8 ALL ALL ALL OE recommended replacement part. OE-specified Oil included. Click For More Info 2003 - 2003 MONTE CARLO LS COMPETITION V6 3.4 ALL ALL ALL OE recommended replacement part. OE-specified Oil included. Click For More Info 2003 - 2003 MONTE CARLO LS SPORT V6 3.4 ALL ALL ALL OE recommended replacement part. OE-specified Oil included. Click For More Info 2003 - 2003 MONTE CARLO SS HIGH SPORT V6 3.8 ALL ALL ALL OE recommended replacement part. OE-specified Oil included. Click For More Info 2003 - 2003 MONTE CARLO SS PACE CAR V6 3.8 ALL ALL ALL OE recommended replacement part. OE-specified Oil included. Click For More Info 2004 - 2004 MONTE CARLO ALL V6 3.8 ALL ALL ALL OE recommended replacement part. OE-specified Oil included. Click For More Info 2004 - 2005 MONTE CARLO ALL V6 3.4 ALL ALL ALL OE recommended replacement part. OE-specified Oil included. Click For More Info 2005 - 2005 MONTE CARLO LT V6 3.8 ALL ALL ALL OE recommended replacement part. OE-specified Oil included. Click For More Info 2005 - 2005 MONTE CARLO SS V6 3.8 ALL ALL ALL OE recommended replacement part. OE-specified Oil included. Click For More Info 2006 - 2006 MONTE CARLO ALL V6 3.9 ALL ALL ALL OE recommended replacement part. OE-specified Oil included. Click For More Info 2006 - 2007 MONTE CARLO ALL V6 3.5 ALL ALL ALL OE recommended replacement part. OE-specified Oil included. 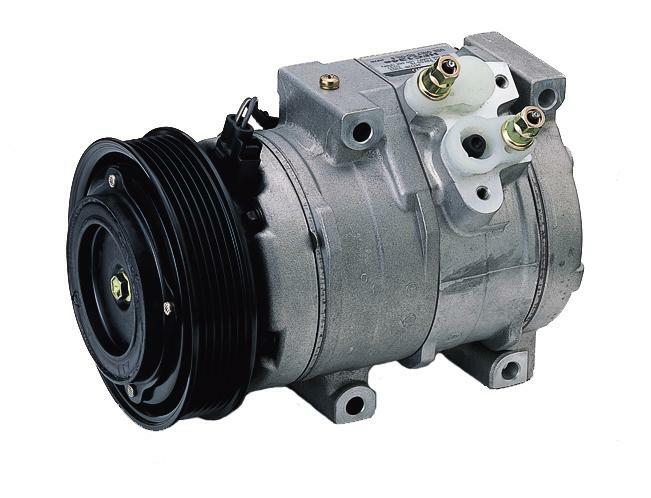 Click For More Info 1994 - 1999 P30 ALL V6 4.3 ALL ALL ALL OE recommended replacement part. OE-specified Oil included. Click For More Info 1994 - 1999 P30 ALL V8 5.7 ALL ALL ALL OE recommended replacement part. OE-specified Oil included. Click For More Info 1995 - 1999 P30 ALL V8 7.4 ALL ALL ALL OE recommended replacement part. OE-specified Oil included. Click For More Info 1996 - 1999 P30 ALL V8 6.5 ALL ALL ALL OE recommended replacement part. OE-specified Oil included. Click For More Info 1998 - 2002 PRIZM ALL L4 1.8 ALL ALL ALL OE recommended replacement part. Click For More Info 1996 - 1997 S10 ALL L4 2.2 ALL ALL ALL OE recommended replacement part. Click For More Info 1996 - 1998 S10 ALL V6 4.3 ALL ALL ALL OE recommended replacement part. OE-specified Oil included. Click For More Info 1998 - 2003 S10 ALL L4 2.2 ALL ALL ALL OE recommended replacement part. Click For More Info 1999 - 2004 S10 ALL V6 4.3 ALL ALL ALL OE recommended replacement part. OE-specified Oil included. Click For More Info 1999 - 1999 SILVERADO 1500 ALL V8 4.8 ALL ALL ALL OE recommended replacement part. Click For More Info 1999 - 2001 SILVERADO 1500 ALL V8 5.3 ALL ALL ALL OE recommended replacement part. Click For More Info 1999 - 2002 SILVERADO 1500 ALL V6 4.3 ALL ALL ALL OE recommended replacement part. OE-specified Oil included. Click For More Info 2003 - 2006 SILVERADO 1500 ALL V8 5.3 ALL ALL ALL DENSO is the OE supplier for this vehicle; OE-specified Oil included. Click For More Info 2003 - 2008 SILVERADO 1500 ALL V8 4.8 ALL ALL ALL DENSO is the OE supplier for this vehicle; OE-specified Oil included. Click For More Info 2003 - 2008 SILVERADO 1500 ALL V8 6.0 ALL ALL ALL DENSO is the OE supplier for this vehicle; OE-specified Oil included. Click For More Info 2003 - 2010 SILVERADO 1500 ALL V6 4.3 ALL ALL ALL DENSO is the OE supplier for this vehicle; OE-specified Oil included. Click For More Info 2007 - 2007 SILVERADO 1500 LT V8 4.8 ALL ALL ALL DENSO is the OE supplier for this vehicle; OE-specified Oil included. Click For More Info 2007 - 2007 SILVERADO 1500 LT V8 5.3 ALL ALL ALL DENSO is the OE supplier for this vehicle; OE-specified Oil included. Click For More Info 2007 - 2007 SILVERADO 1500 LT V8 6.0 ALL ALL ALL DENSO is the OE supplier for this vehicle; OE-specified Oil included. Click For More Info 2007 - 2007 SILVERADO 1500 WT V8 5.3 ALL ALL ALL DENSO is the OE supplier for this vehicle; OE-specified Oil included. Click For More Info 2008 - 2008 SILVERADO 1500 ALL V8 5.3 ALL ALL FLEX DENSO is the OE supplier for this vehicle; OE-specified Oil included. Click For More Info 2008 - 2008 SILVERADO 1500 ALL V8 5.3 ALL ALL GAS DENSO is the OE supplier for this vehicle; OE-specified Oil included. Click For More Info 2009 - 2009 SILVERADO 1500 ALL V8 6.0 ALL ALL ALL DENSO is the OE supplier for this vehicle; OE-specified Oil included. Click For More Info 2009 - 2010 SILVERADO 1500 ALL V8 4.8 ALL ALL ALL DENSO is the OE supplier for this vehicle; OE-specified Oil included. Click For More Info 2009 - 2010 SILVERADO 1500 ALL V8 5.3 ALL ALL ALL DENSO is the OE supplier for this vehicle; OE-specified Oil included. Click For More Info 2009 - 2010 SILVERADO 1500 ALL V8 6.2 ALL ALL ALL DENSO is the OE supplier for this vehicle; OE-specified Oil included. Click For More Info 2007 - 2007 SILVERADO 1500 CLASSIC LT V8 5.3 ALL ALL FLEX DENSO is the OE supplier for this vehicle; OE-specified Oil included. Click For More Info 2001 - 2001 SILVERADO 1500 HD ALL V8 6.0 ALL ALL ALL OE recommended replacement part. Click For More Info 2002 - 2006 SILVERADO 1500 HD ALL V8 6.0 ALL ALL ALL DENSO is the OE supplier for this vehicle; OE-specified Oil included. Click For More Info 2007 - 2007 SILVERADO 1500 HD CLASSIC ALL V8 6.0 ALL ALL ALL DENSO is the OE supplier for this vehicle; OE-specified Oil included. Click For More Info 1999 - 1999 SILVERADO 2500 ALL V8 5.3 ALL ALL ALL OE recommended replacement part. Click For More Info 1999 - 2001 SILVERADO 2500 ALL V8 6.0 ALL ALL ALL OE recommended replacement part. Click For More Info 2001 - 2001 SILVERADO 2500 HD ALL V8 6.0 ALL ALL ALL OE recommended replacement part. Click For More Info 2001 - 2001 SILVERADO 2500 HD ALL V8 8.1 ALL ALL ALL OE recommended replacement part. Click For More Info 2001 - 2002 SILVERADO 2500 HD ALL V8 6.6 ALL ALL ALL w/o Ambulance Pkg. Click For More Info 2003 - 2006 SILVERADO 2500 HD ALL V8 8.1 ALL ALL ALL DENSO is the OE supplier for this vehicle; OE-specified Oil included. Click For More Info 2003 - 2008 SILVERADO 2500 HD ALL V8 6.0 ALL ALL ALL DENSO is the OE supplier for this vehicle; OE-specified Oil included. Click For More Info 2003 - 2010 SILVERADO 2500 HD ALL V8 6.6 ALL ALL ALL DENSO is the OE supplier for this vehicle; OE-specified Oil included. Click For More Info 2007 - 2007 SILVERADO 2500 HD LT V8 6.6 ALL ALL ALL DENSO is the OE supplier for this vehicle; OE-specified Oil included. Click For More Info 2009 - 2010 SILVERADO 2500 HD ALL V8 6.0 ALL ALL ALL DENSO is the OE supplier for this vehicle; OE-specified Oil included. Click For More Info 2007 - 2007 SILVERADO 2500 HD CLASSIC ALL V8 8.1 ALL ALL ALL DENSO is the OE supplier for this vehicle; OE-specified Oil included. Click For More Info 2007 - 2007 SILVERADO 2500 HD CLASSIC ALL V8 6.0 ALL ALL ALL w/o Rear A/C, DENSO is the OE supplier for this vehicle; OE-specified Oil included. Click For More Info 2001 - 2001 SILVERADO 3500 ALL V8 6.0 ALL ALL ALL OE recommended replacement part. Click For More Info 2001 - 2001 SILVERADO 3500 ALL V8 8.1 ALL ALL ALL OE recommended replacement part. Click For More Info 2001 - 2002 SILVERADO 3500 ALL V8 6.6 ALL ALL ALL w/o Ambulance Pkg. Click For More Info 2003 - 2006 SILVERADO 3500 ALL V8 6.0 ALL ALL ALL DENSO is the OE supplier for this vehicle; OE-specified Oil included. Click For More Info 2003 - 2006 SILVERADO 3500 ALL V8 8.1 ALL ALL ALL DENSO is the OE supplier for this vehicle; OE-specified Oil included. Click For More Info 2003 - 2006 SILVERADO 3500 ALL V8 6.6 ALL ALL ALL DENSO is the OE supplier for this vehicle; OE-specified Oil included. Click For More Info 2007 - 2007 SILVERADO 3500 CLASSIC ALL V8 6.0 ALL ALL ALL DENSO is the OE supplier for this vehicle; OE-specified Oil included. Click For More Info 2007 - 2007 SILVERADO 3500 CLASSIC ALL V8 8.1 ALL ALL ALL DENSO is the OE supplier for this vehicle; OE-specified Oil included. Click For More Info 2007 - 2007 SILVERADO 3500 CLASSIC ALL V8 6.6 ALL ALL ALL DENSO is the OE supplier for this vehicle; OE-specified Oil included. Click For More Info 2007 - 2008 SILVERADO 3500 HD ALL V8 6.0 ALL ALL ALL DENSO is the OE supplier for this vehicle; OE-specified Oil included. Click For More Info 2007 - 2010 SILVERADO 3500 HD ALL V8 6.6 ALL ALL ALL DENSO is the OE supplier for this vehicle; OE-specified Oil included. Click For More Info 2009 - 2010 SILVERADO 3500 HD ALL V8 6.0 ALL ALL ALL DENSO is the OE supplier for this vehicle; OE-specified Oil included. Click For More Info 2003 - 2004 SSR ALL V8 5.3 ALL ALL ALL OE recommended replacement part. OE-specified Oil included. Click For More Info 2005 - 2006 SSR ALL V8 6.0 ALL ALL ALL OE recommended replacement part. OE-specified Oil included. Click For More Info 2002 - 2009 SUBURBAN 1500 ALL V8 5.3 ALL ALL ALL DENSO is the OE supplier for this vehicle; OE-specified Oil included. Click For More Info 2003 - 2004 SUBURBAN 1500 ALL ALL ALL ALL ALL ALL DENSO is the OE supplier for this vehicle; OE-specified Oil included. Click For More Info 2009 - 2009 SUBURBAN 1500 ALL V8 6.0 ALL ALL ALL DENSO is the OE supplier for this vehicle; OE-specified Oil included. Click For More Info 2002 - 2004 SUBURBAN 2500 ALL V8 8.1 ALL ALL ALL DENSO is the OE supplier for this vehicle; OE-specified Oil included. Click For More Info 2002 - 2009 SUBURBAN 2500 ALL V8 6.0 ALL ALL ALL DENSO is the OE supplier for this vehicle; OE-specified Oil included. Click For More Info 1996 - 1999 TAHOE ALL V8 6.5 ALL ALL ALL OE recommended replacement part. OE-specified Oil included. Click For More Info 1996 - 2000 TAHOE ALL V8 5.7 ALL ALL ALL OE recommended replacement part. OE-specified Oil included. Click For More Info 2002 - 2009 TAHOE ALL V8 4.8 ALL ALL ALL DENSO is the OE supplier for this vehicle; OE-specified Oil included. Click For More Info 2002 - 2009 TAHOE ALL V8 5.3 ALL ALL ALL DENSO is the OE supplier for this vehicle; OE-specified Oil included. Click For More Info 2009 - 2009 TAHOE ALL V8 6.2 ALL ALL ALL DENSO is the OE supplier for this vehicle; OE-specified Oil included. Click For More Info 1999 - 2003 TRACKER ALL L4 2.0 ALL ALL ALL DENSO is the OE supplier for this vehicle; OE-specified O-rings and Oil included. Click For More Info 2001 - 2001 TRACKER ALL V6 2.5 ALL ALL ALL DENSO is the OE supplier for this vehicle; OE-specified O-rings and Oil included. Click For More Info 2002 - 2009 TRAILBLAZER ALL L6 4.2 ALL ALL ALL OE recommended replacement part. OE-specified Oil included. Click For More Info 2006 - 2007 TRAILBLAZER ALL V8 5.3 ALL ALL ALL OE recommended replacement part. OE-specified Oil included. Click For More Info 2006 - 2007 TRAILBLAZER ALL V8 6.0 ALL ALL ALL OE recommended replacement part. OE-specified Oil included. Click For More Info 2006 - 2007 TRAILBLAZER LS L6 4.2 ALL ALL ALL OE recommended replacement part. OE-specified Oil included. Click For More Info 2006 - 2007 TRAILBLAZER LT L6 4.2 ALL ALL ALL OE recommended replacement part. OE-specified Oil included. Click For More Info 2002 - 2006 TRAILBLAZER EXT ALL L6 4.2 ALL ALL ALL OE recommended replacement part. OE-specified Oil included. Click For More Info 2003 - 2005 TRAILBLAZER EXT ALL L6 4.2 ALL ALL ALL OE recommended replacement part. OE-specified Oil included. Click For More Info 2003 - 2006 TRAILBLAZER EXT ALL V8 5.3 ALL ALL ALL OE recommended replacement part. OE-specified Oil included. Click For More Info 2009 - 2012 TRAVERSE ALL V6 3.6 ALL ALL ALL DENSO is the OE supplier for this vehicle; OE-specified Oil included. Click For More Info 1997 - 2000 VENTURE ALL V6 3.4 ALL ALL ALL OE recommended replacement part. OE-specified Oil included.